We sang, played holiday games, and enjoyed the company of the new friends we made this year at the Hartland Public Library Memory Cafe on December 4th 2015. The children of Hartland were featured at the Hartland Public Library’s Memory Cafe on November 6th 2015. We shared information and objects from many generations as we met new friends. 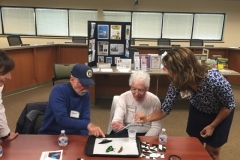 We tested our knowledge of bowling trivia and our bowling skills at the October 2nd 2015 Memory Cafe at the Pewaukee Public Library. 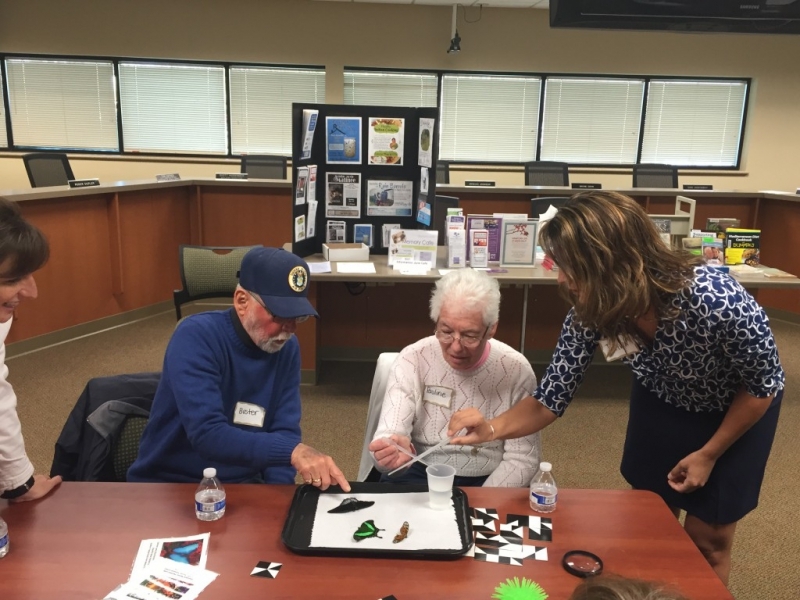 Butterflies were featured at the May 1st 2015 Memory Cafe at the Delafield Public Library. Dawn Koceja of the Milwaukee Public Museum’s SPARK! program enlightened us and we all created cards or bookmarks featuring butterflies. The June 5th 2015 Memory Cafe was the day we opened up to the world of sensory herbs! We tasted, touched, and smelled wonderful herbs and then planted them in pots! Zentangles are fabulous works of art and we all learned to Zentangle at the March 6th 2015 Memory Cafe at the Hartland Public Library! Zentangle turns drawings into artistic design while reducing stress and improving focus. Click here to see photos from Memory Cafes held in 2016!